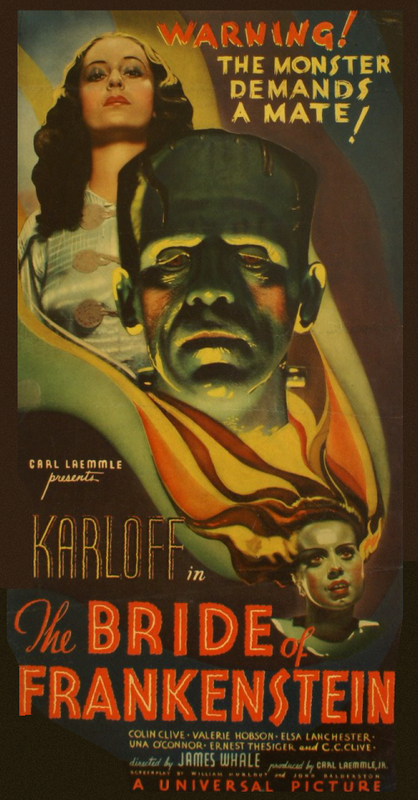 James Whale’s brilliant BRIDE OF FRANKENSTEIN is one of those rare occasions where the sequel is better than the original… and since the original 1931 FRANKENSTEIN is one of the horror genre’s greatest films, that’s saying a lot! Whale’s trademark blend of horror and black humor reached their zenith in BRIDE, and though Whale would make ten more films before retiring from Hollywood moviemaking in 1941, this was his last in the realm of the macabre. It turned out to be his best. This entry was posted in Film, Film Review, Horror and tagged Boris Karloff, Bride of Frankenstein, Colin Clive, Cracked Rear Viewer, EE Clive, Elsa Lanchester, Ernest Thesiger, Gary Loggins, Halloween Havoc!, James Whale, Through the Shattered Lens, Una O'Connor, Universal Pictures, Valerie Hobson. Bookmark the permalink.